Machen is considered to be the last of the great Princeton theologians who had, since the formation of the college in the early 19th century, developed Princeton theology: a conservative and Calvinist form of Evangelical Christianity. 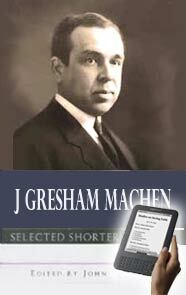 Although Machen can be compared to the great Princeton theologians (Archibald Alexander, Charles Hodge, A. A. Hodge and B. B. Warfield) he was neither a lecturer in theology (he was a New Testament scholar) nor did he ever become the seminary's principal. Machen's influence can still be felt today through the existence of both institutions that he founded—Westminster Theological Seminary and the Orthodox Presbyterian Church. In addition, his textbook on basic New Testament Greek is still used today in many seminaries, including PCUSA schools.